The Contemporary Direction Ensemble’s Friday performance was emotionally powerful and also a challenge to conventional norms. Their performance of “Die Schönste Zeit des Lebens,” or “The Most Beautiful Time of Life,” was breathtaking and haunting. The manuscript of this piece, a popular foxtrot of the 1940s, was recently discovered at the Auschwitz-Birkenau Museum by University of Michigan Professor Dr. Patricia Hall. Arranged by prisoners at Auschwitz for one of the camp’s orchestras, it was likely performed for Sunday concerts for the S.S.
As the ensemble performed this piece, the first time it has been heard in 75 years, images of Auschwitz were projected on the wall behind. The contrasts between the lighthearted music being played and the dark realities of the Holocaust in these images were stark, and for me, this highlighted the power of music and the strength of the human spirit. How could something so beautiful exist in a place of so much death? The melody, which out of the context that this arrangement was created from is carefree, took on a much more emotionally raw and evocative quality that stayed with me for long after the piece was over. The final piece of the evening, which was vastly different from how the concert began, was the U.S. premiere of George Lewis’s P. Multitudinis. This piece, which was of “situational” form, consisted of several instrumental groups, a traveling percussionist and traveling conductor, and the “multitude.” Rather than playing music written out exactly as it is to be played on the page, the musicians reacted to what was going on around them and responded with their instruments accordingly. It was a very intriguing piece, more rhythmic and innovative than melodic, and it was fascinating to try to follow how the members of the ensemble communicated with each other throughout the piece. Music such as P. Multitudinus challenges the audience to be fully present in the moment, because the performance unfolds uniquely in a way that cannot be predicted, and it is a living, breathing form of art. Typical conventions of music performance were broken – at one point a trombone player borrowed a reed and bocal (the metal tube to which the reed is attached) from a bassoon and put it on the trombone. At other times, kazoo-like instruments were used. The piece was truly a broadening of creative boundaries. 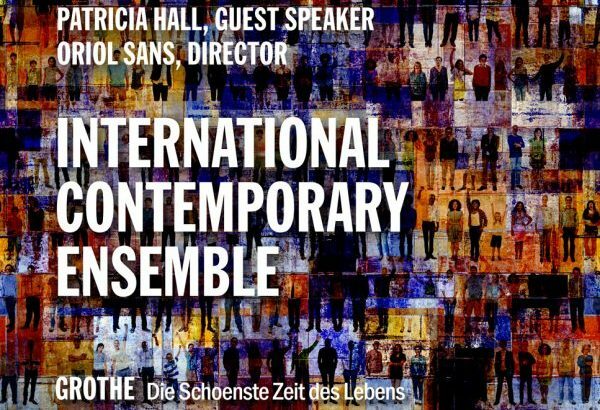 I greatly enjoyed the Contemporary Direction Ensemble’s performance because it made me pause and really think about music and its roles in a way that more traditional concerts do not. The concert exemplified music as an interactive art form and as a means of communication.